Do you want a smile you’re proud of revealing? Chances are you do, and you want to achieve this goal as quickly and efficiently as possible. Clear aligners have become the most popular teeth straightening treatment available to consumers today. Orthodontists around the NYC area offer Invisalign and other brands such as ClearCorrect, CandidCo, teeth straightening treatments. Smile Direct Club is one that has taken the procedure a bit further by providing consumers with at-home treatment. The following information will reveal the difference between receiving treatment from Smile Direct Club compared to a local professional orthodontist. A local professional orthodontist provides valuable knowledge and treatment to patients. They take thorough exams and treat each patient individually to assure the best results. The in-person treatment allows the orthodontist to clearly see any issues a patient is experiencing. It also provides insight into any potential future oral problems. 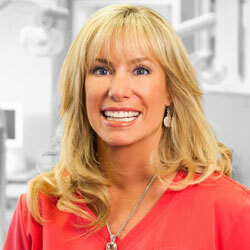 Dr. Jacquie Smiles, the leading orthodontist in NYC. Dr. Jacquie Smiles is a VIP Platinum Invisalign Provider and has been recognized as a top provider every year since 2003. In September 2005, Dr. Jacquie Smiles became Invisalign’s Spokesperson for a hygiene campaign. In 2009, she became a Spokesperson for Invisalign Teen treatment which was featured on the Tyra Bank’s show tells us that ‘many times teeth do not move by aligners alone”. Every case is different and depending on the bite and teeth alignment you may need to see a professional to add attachments that properly correct certain issues. Contact us Dr. Jacquie Smiles today for your no-obligation teeth straightening and orthodontics appointment in NYC. You may also call Dr. Jacquie Smiles at 212-972-3522. 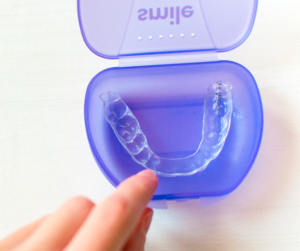 Generally, an orthodontist first corrects and heals any oral issues before beginning Invisalign treatment. It’s essential that your oral health is in excellent condition before beginning treatment. Sometimes patients need to have teeth removed to assure straighter teeth after Invisalign treatment. Orthodontists often identify serious health issues through their exams that would otherwise go undetected. During at home treatment, patients can experience pain, discomfort or have questions about their treatment. An added benefit of seeing an orthodontist in your area provides helpful support, professional opinion, and treatment. It also makes it easier to schedule an emergency visit in case you need assistance during treatment. Smile Direct Club makes teeth straightening convenient for consumers. Basically, consumers receive a kit in the mail, and they conduct their own molds for their liners and return it in the mail to Smiles Direct Club. At this point, there is no orthodontist or professional help available to the consumer. This can be difficult and even dangerous because some people have hidden issues in their mouth that only a professional can pinpoint before it gets worse. Another issue about using Smiles Direct Club is the oversight of serious issues that are not revealed in the molds taken by the patient. Consumers often choose at home treatment over visiting a local orthodontist. Sometimes this decision is made for convenience, affordable pricing, and other times it’s due to fear of visiting dentist offices. Some patients that have used Smiles Direct Club and other similar clubs have reported they experienced unforeseen pain in the jaw and mouth. Unfortunately, these patients did not have a local orthodontist to visit for assistance and had to wait for in-person treatment. Visiting an orthodontist is the best option recommended for orthodontics patients in NYC. Straightening your teeth will improve your overall health and well-being. However, you want to do it safely and under the supervision of a professional orthodontist. There is no reason to be afraid to visit a dentist office because they are only there to help you and they have the ability to make procedures as painless, safe and quick as possible. Dr. Jacquie has created a mix of At Home Ortho with dental visits if needed making this a win-win. Contact us today for your no-obligation teeth straightening and orthodontics appointment in NYC. You may also call Dr. Jacquie Smiles at 212-972-3522. Our office is conveniently located near 30 East 40th Street Park Avenue, New York, NY 10016.